If you’re like me, this time of year is FULL of temptations! 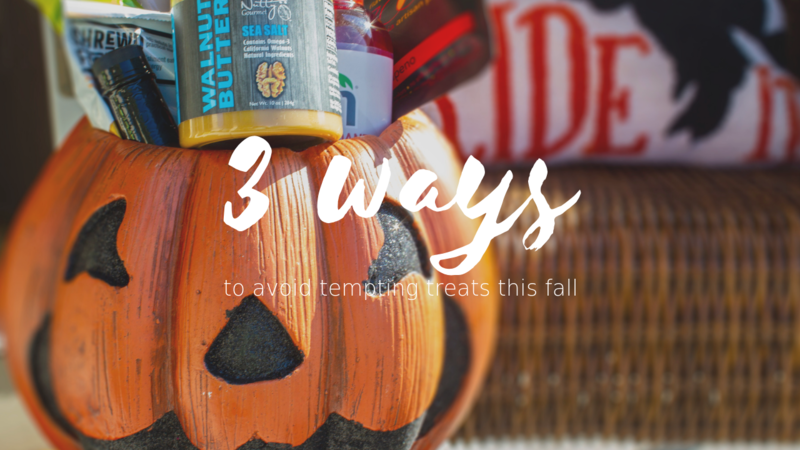 The caramel apples, kettle corn, and Halloween candy are hard to ignore! 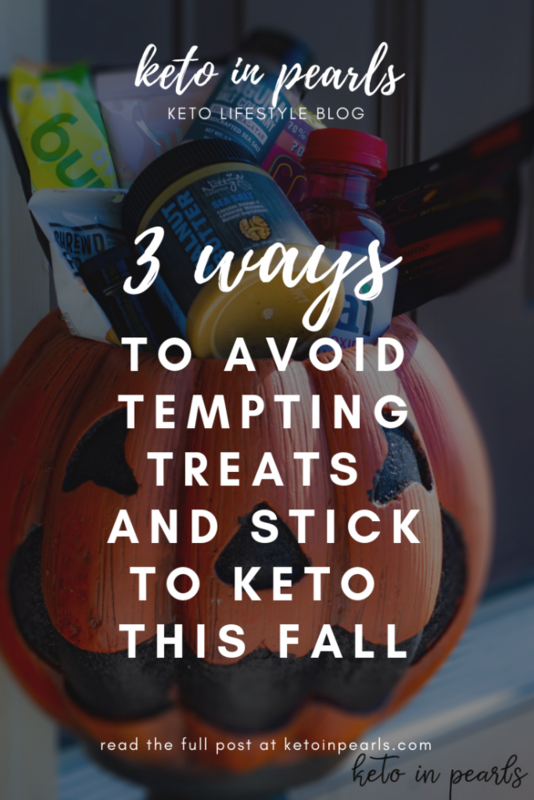 This’s blog post shares 3 ways you can fight the tempting treats and stick with your keto diet! This post is sponsored by The Keto Box rel=”nofollow”. All opinions are my own. If you’re a parent, grandparent, or literally anyone who walks in a grocery store during October, then you are undoubtedly propositioned by all of the perfectly positioned Halloween Candy filling the shelves. There’s candy, treats, and junk everywhere you look! And if you’re a good neighbor, then you’ve probably purchased a few bags of treats to pass out to the ghosts, mermaids, and Mr. Incredibles that will invariably knock on your door come Halloween night. Once upon a time, I would have to revisit the grocery store on all hallow’s eve to re-stock the candy bowl because I had picked my way through all of the good stuff. I may or may not have grabbed a piece or 3 every time I walked past the kitchen. And let’s not even talk about all the candy the kids bring home from trick-or-treating. We’ve all done the shameless scour of the candy basket after the kids go to bed. Only to have the kids wake up the next day asking where all of the Reese cups disappeared to. Oops. 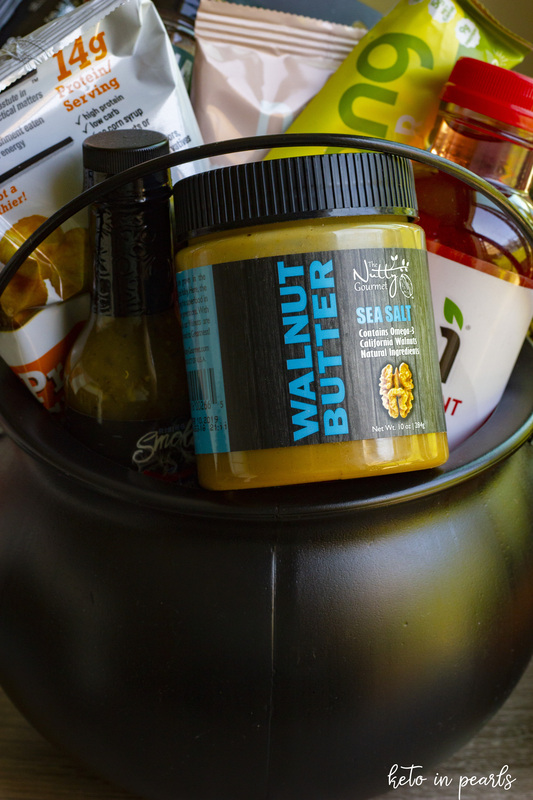 But now that we’ve quit sugar and adopted a keto lifestyle, how do we satisfy that craving for sweet and salty snacks that sneak up on us this time of year? In this post I’m going to share 3 ways I avoid the temptations. One major benefit to keto and low carb diets becoming popular is the amount of companies coming on the market selling yummy goodies! There are so many candies available nowadays for those of us who don’t eat sugar. ChocZero rel=”nofollow” (my #1 MVP), Smart Sweets (gummy bears and chewy candy), Nekstella chocolate hazelnut spread, GoodDee’s cake and cookie mixes…I could keep going. 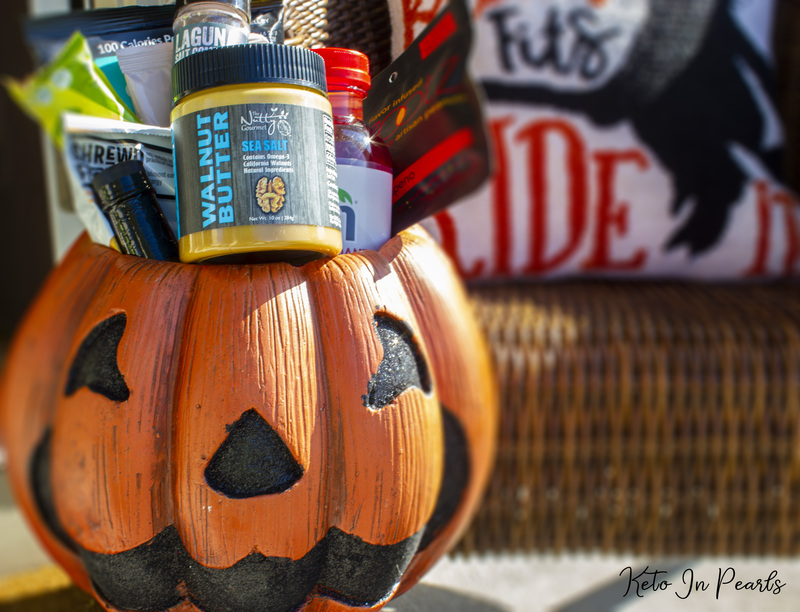 Make your own keto trick-or-treat basket with your favorite treats and save it for Halloween night. this way when all the candy has been passed out and your kids are sleeping off a sugar high, you won’t be tempted to dig around for their Snickers or Twizzlers. I’ve talked about the benefits of Intermittent Fasting before but one thing I want to reiterate is that being in the middle of a fast guarantees you won’t eat! Seems pretty simple, right? Theoretically, it is, or at least, it should be. Committing to a fast is a mental game just as much as it is physical. 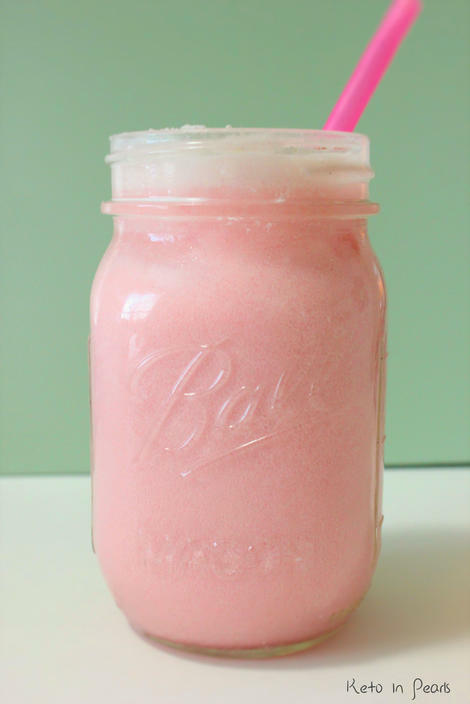 There are moments you will be hungry but if you power through, you get into that deep level of ketosis that makes you feel like a magical unicorn! 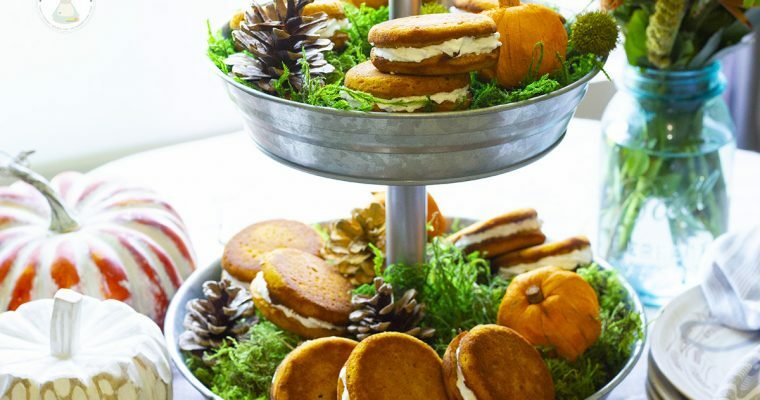 Ignore the candy, caramel apples, kettle corn, and hand pies. Stick to your fast and when time’s up, you may reward yourself with a delicious, fatty, low carb treat! Have you signed up for The Keto Box rel=”nofollow” monthly subscription yet?! If not, what are you waiting for? My subscription to The Keto Box has literally saved me from going off the deep end on more than occasion! The Keto Box rel=”nofollow” is a monthly subscription service that sends you 8-11 FULL SIZE keto friendly snacks and treats every month. It’s just like the beauty boxes, pet boxes, or wardrobe boxes you can subscribe to but for KETO! 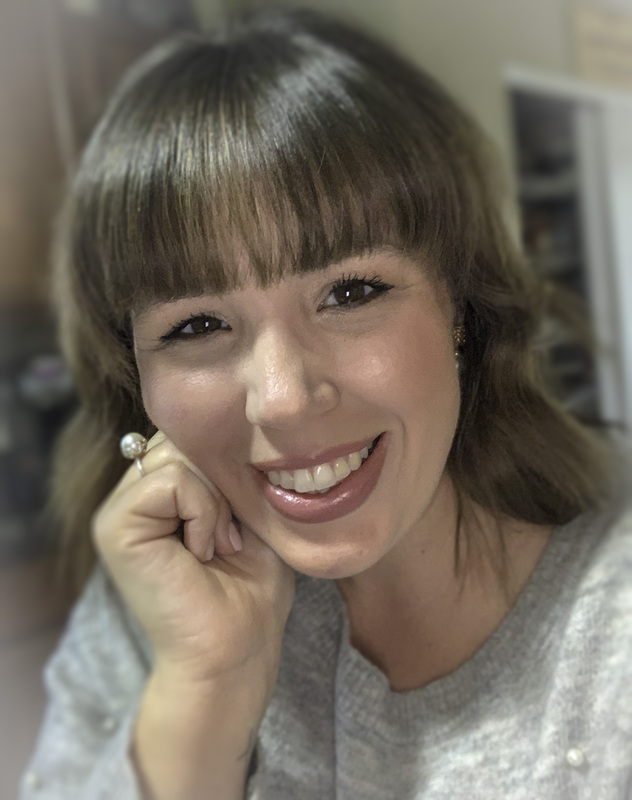 I LOVE my subscription to The Keto Box because not only do I get to try a bunch of new-to-me items each month, I know I have some snacks on hand for when temptation attacks (i.e. Halloween). Y’all know that I don’t splurge too much on speciality items. I have a few that I love (ChocZero, Chomps meat sticks, Nush cakes) but for the most part, I keep things simple. That’s another reason I genuinely love getting this box rel=”nofollow” of goodies every month. For example, this month my box had a chocolate candy bar, bag of pork rinds, a protein bar, a couple of crunchy salty snacks, and a few other fun things! It’s basically keto trick-or-treating every month. Except I don’t have to wear a ridiculous costume and go knock on someone’s door. YAS! Sign. Me. Up. You don’t have to wait until the beginning of the month to sign-up for your Keto Box subscription. Go order one today and you’ll get it well before Halloween rolls around! Plan ahead, stock up, and find your inner motivation to power through the temptations that are inevitably headed your way! Your future self will thank you!